Please note that this brochure is designed to print on a single sheet of paper as a one-sided piece. 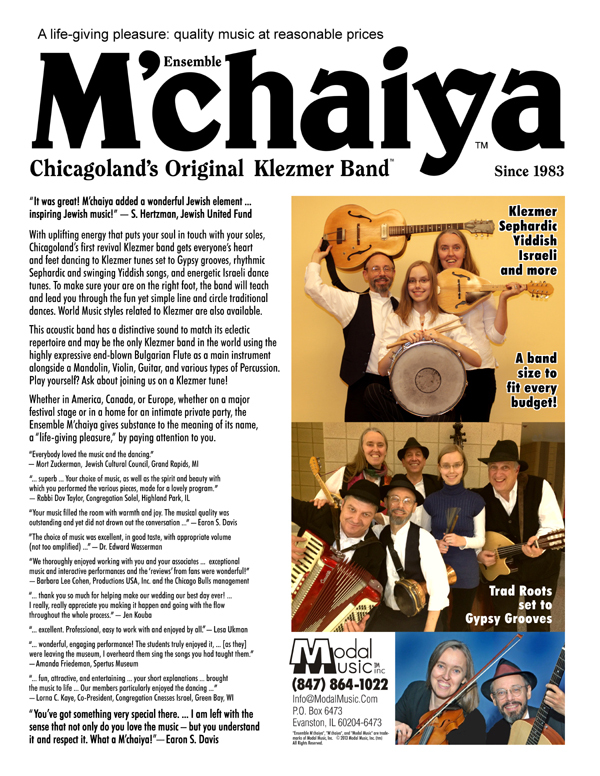 For a high-resolution, print-ready PDF file Right Click on the image above to download a single-sided, print-ready PDF file for the Ensemble M’chaiya (tm). 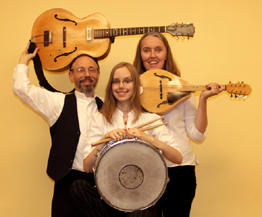 If you prefer, we can send you an audio CD and printed brochure by plain post. Just contact us via phone between 10 AM and 10 PM or e-mail us. 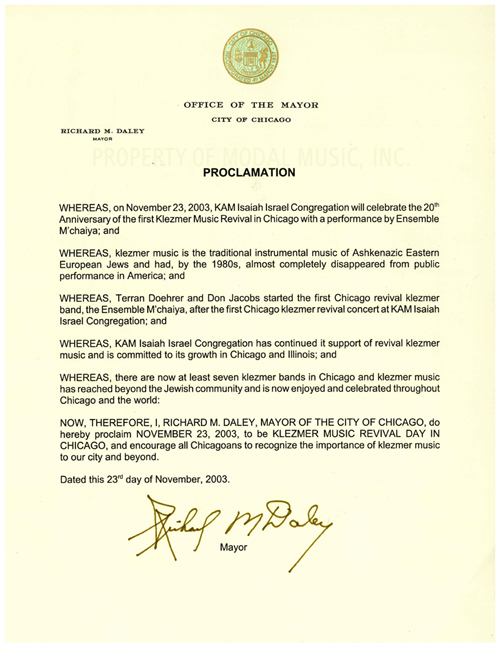 Mayor Daley’ 2003 Klezmer Day Proclamation honoring Ensemble M’chaiya and Terran Doehrer.